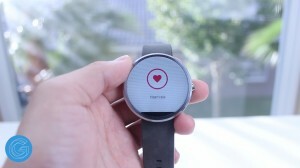 Motorola has been hyping up the Moto 360 for a while now. They’ve shown it off at multiple conventions, teased it at Google I/O, and it’s finally here. On the other hand, the LG G Watch has been out since July and it’s still a great inexpensive option, but most seem to think the Moto 360 is a no brainer easy purchase, but is it? 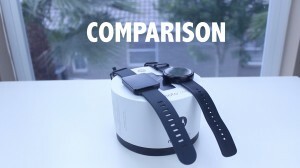 In this video we’ll be putting two of the hottest smart watches on the market head to head, the Moto 360 and LG G Watch. But before we get started I would like to hear you, the viewers which watch you feel gives a better value for the money, and you can find all the prices and product pages in the description, but be sure to let me know your opinions in the comments section down below. Quite honestly, smart watches and wearables just aren’t ultra functional right now. When you buy any new smart watch you won’t be able to sit there and play games on it for three hours straight like you could if a new tablet or phone was purchased, instead a smart watch is an extension of what your phone can do. Because Android Wear is the universal operating system on all Android smart watches, the software on both the Moto 360 and LG G Watch are completely identical. What Google has done with Android Wear is bring a unified experience that’s easy to pick up and learn and the same across all devices. 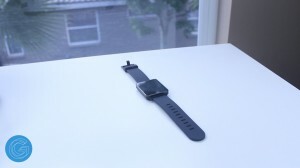 It essentially treats your watch as an inside look at your phone’s notification bar. You can scroll through all of your current emails, twitter mentions, google now cards, and texts. Swiping to the left on one of these cards will give you more options like marking as read, respond, and more while swiping to the right will get rid of the notification. The display on the Moto 360 is probably one of its best features, but it’s also a drawback in some ways. The round circular design has great viewing angles and is quite sharp, and it easily makes the 360 one of the most attractive watches on the market, but it also limits the functionality of the software. Text occasionally gets cut off at the corners, especially when scrolling through messages and long lists. This is because android wear is made specifically for devices with square displays, not round ones like the moto 360. Also, the beveled sides make the circular border look a touch jagged at certain angles, especially against a white background. 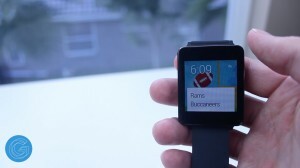 Because the display on the LG G Watch is square we don’t have any of those issues. It’s square and slightly larger coming in at 1.65 inches and it looks great. Because it’s an IPS panel you shouldn’t have any issues reading in direct sunlight and pixels will be tough to see without squinting. There are some cool features both of these devices have like the always listening “Okay Google” hot keyword that allows you to initiate commands like sending messages, setting alarms, open navigation, and so much more. Along with that both the Moto 360 and LG G Watch have built in pedometers which makes them great as potential replacements to your fitbit or nike fuel band, but one extra thing the Moto 360 has is a heart rate monitor which is great for tracking the intensity of your workouts. 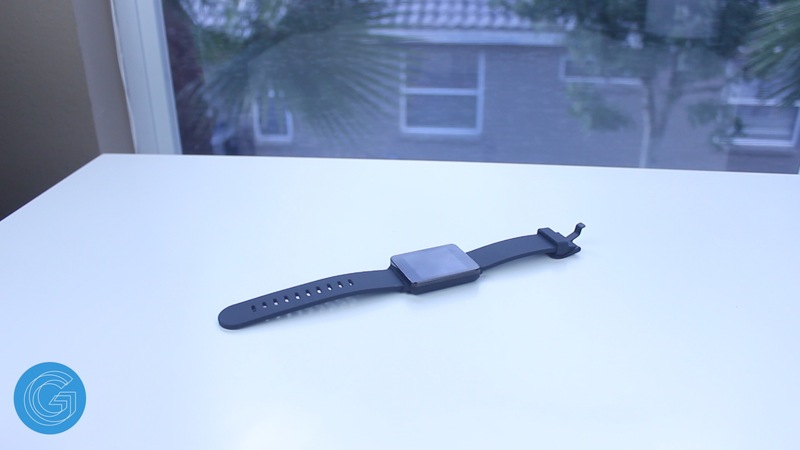 The looks and feel of a smart watch is incredibly important. 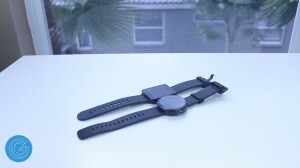 Most of the time you won’t be using the Moto 360 or G Watch, but it’s always visible. When it’s just sitting on your wrist, it better look and feel good and the Moto 360 definitely does. It features a round circular 1.65 inch display which is surrounded by a stainless steel shell that sits comfortably on my wrist. 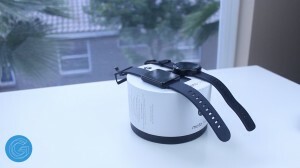 Its high quality leather strap is made by Chicago tannery Horween, and it’s extremely comfortable. The 360 just looks classy, it’s one of the best looking watches I’ve ever seen. The G Watch has plenty of great qualities, but it simply isn’t as attractive as the Moto 360. It does feature a corning Gorrilla Glass 3 display and has stainless steel edges, but the overall look is very bland with the square display. However, according to LG’s design team, this was done to help content look like it’s floating above the screen, but that honestly sounds like an excuse. Battery life sits right next to aesthetics when it comes to importance. I mean, what’s the point in putting out a couple hundred dollars for a watch that will end up gathering dust on your wrist? On the Moto 360, battery life will mostly depend on whether or not the device is set the device to stay always on and the number of notifications being received throughout the day. In my experience i found that the 360 was able to make it through about 12 hours of usage with ambient display mode on, but I definitely was coming close at the end of the day. The battery on the G Watch is considerably larger than the 360’s, instead of a 320mAh battery the LG is loaded with 400mAhs and it’s certainly noticeable. 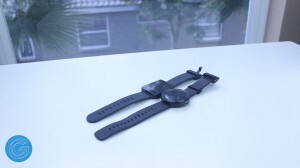 Unlike the 360 the G Watch will you get you a full 24 hours of usage with the ambient light sensor on which is a big deal. If you do forget to charge the G Watch overnight it’s not an issue because it’s likely you’ll be able to make it through another day, but that’s not the case on the 360. That being said, because these batteries are so small you can charge them from 0% to 100% in about an hour, so if you forget, it isn’t that big of a deal. 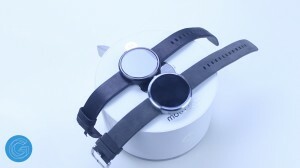 The Moto 360 is without a doubt the classiest watch on the market, with it’s stylish good looks, leather band, and circular face, but it’s weaker battery life and some software imperfections make the LG G Watch another legitimate option as it features superb battery life, a nice beautiful display, and a low price tag.